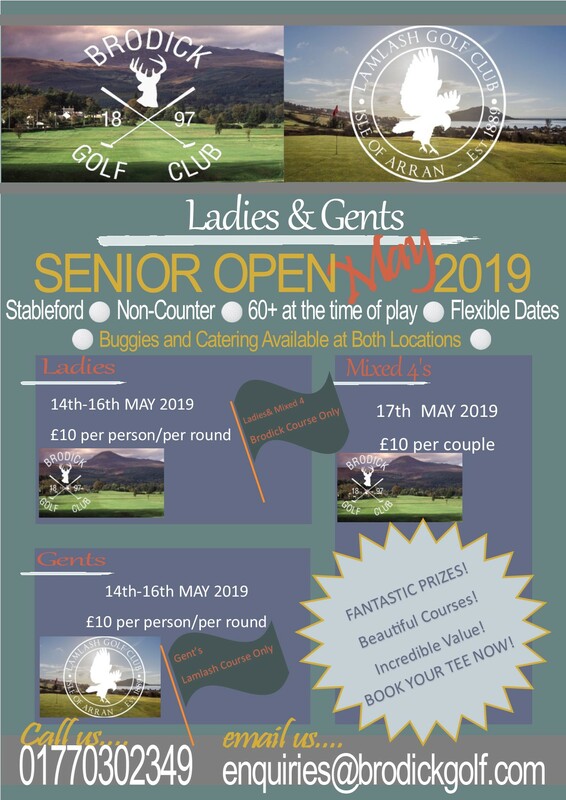 Join us to compete in a brand new event for the over 60s! Ladies play 18 holes at Brodick anytime between 14th and 16th May inclusive. Gents play 18 holes at Lamlash anytime between 14th and 16th May inclusive. Ladies and Gents play a mixed foursomes at Brodick on Friday 17th May.